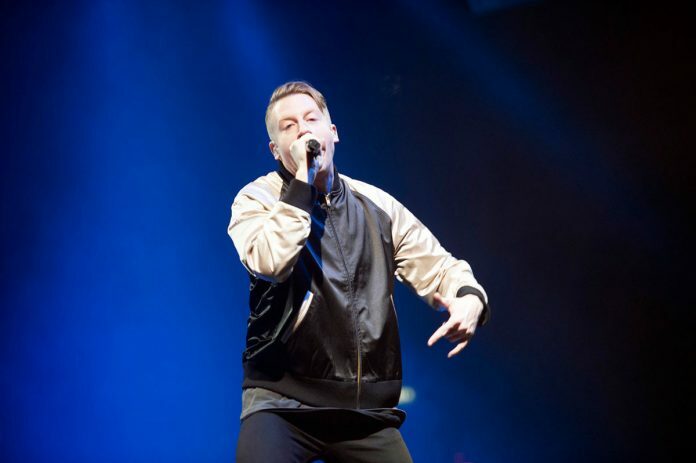 Outrage over President Donald Trump’s travel ban has prompted a spring fundraising concert for the American Civil Liberties Union that will feature a diverse lineup, including Macklemore, Imagine Dragons, Incubus, Miguel and Skrillex. DJ and producer Zedd, a Russian-born immigrant, organized the April 3 concert called “Welcome!” at the Staples Center in Los Angeles. Other performers include Bebe Rexha, Camila Cabello, Machine Gun Kelly, Mija, Daya, Halsey and Tinashe. Ticket prices range from $49.50 to $249.50 and more for VIP experiences. The ACLU was chosen as the beneficiary because the organization has been fighting Trump’s executive order on immigration, which included a temporary travel ban on people from seven Muslim-majority countries. Zedd won a Grammy Award for “Clarity,” which appeared on his 2012 debut album of the same name. His sophomore album, “True Colors,” was released in 2015, and features “I Want You to Know” with Selena Gomez. He was born in Russia and raised in Germany before coming to America and said he has never a politically outspoken person, until now. The travel ban struck a raw nerve and he reached out to all the music acts he could. He said he hopes the artists collaborate, in the spirit of inclusion: “Hopefully there’s some sort of natural swing where people will be interested in performing with somebody else that has nothing to do with their type of music,” he said.